If you wanted to learn how to be a high-speed racer, who would be the best candidate for your teacher? Dale Earnhardt Jr.? Danica Patrick? What about Lightning McQueen? That’s the premise of a new attraction coming to Disney’s Hollywood Studios, entitled Lightning McQueen’s Racing Academy. According to the official Disney Parks Blog, the Lightning McQueen Racing Academy will bring audience members face-to-grille with Lightning McQueen. In this new interactive show, McQueen will highlight the biggest moments of his career, while also offering tips and tricks for becoming a successful racer. McQueen won’t be alone, though. Friends like Tow Mater and Cruz Ramirez will also make appearances throughout the show. The attraction itself will be located in the Sunset Showcase Theater near the Rock ‘n’ Roller Coaster. Disney has been pretty secretive about what the show entails, but the company has revealed a few details. Reportedly, the audience will be enveloped in a wrap-around screen that measures two stories tall. The screen stretches out more than 200 feet from end to end. Lightning McQueen will also reportedly use the racing simulator seen in Cars 3. However, as often is the case in the Cars movies, things don’t necessarily go according to plan, and McQueen will have to utilize his skills to save the day. Guests of the Walt Disney World Resort won’t have to wait very long for this new experience. Lightning McQueen’s Racing Academy reportedly opens on March 31. The Racing Academy attraction is just one of many new experiences coming to Disney’s Hollywood Studios during the park’s 30th anniversary. The theme park is also receiving a Mickey Mouse-themed attraction, named Mickey and Minnie’s Runaway Railway, later in the year. Additionally, Star Wars: Galaxy’s Edge will open at Disney’s Hollywood Studios by the end of the year, just in time for the premier of the untitled Star Wars: Episode IX. 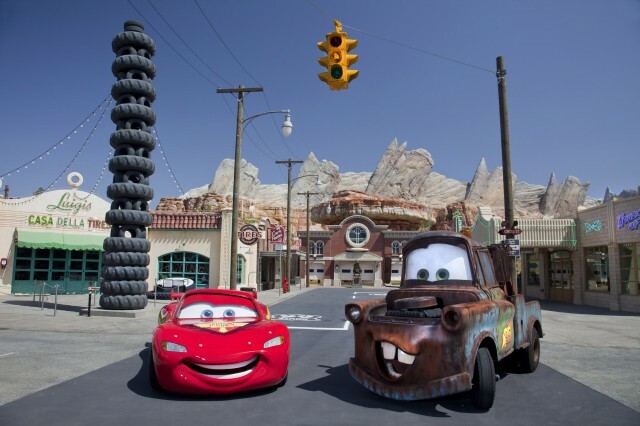 While it may not be as extensive as Cars Land at Disney California Adventure, Lighting McQueen’s Racing Academy will certainly entertain any fans of the Cars franchise when it opens in March.